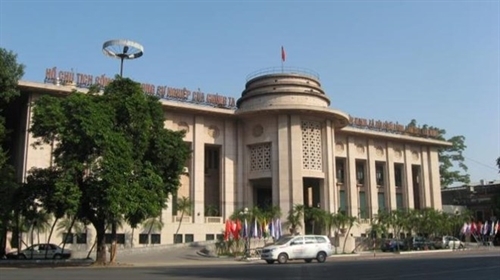 The State Bank of Vietnam (SBV) has requested that credit institutions and foreign bank branches intensify their credit quality and bad debt management and submit their bad debt handling plans for 2016 before April 28. The headquarter of SBV in Hanoi. The move aims to ensure the bad debt ratio is at a safe level of below 3 percent of loans, the central bank said in freshly-issued Document No 2588/NHNN-TTGSNH sent to credit institutions and foreign bank branches across the country. The document instructs credit organisations to implement bad debt treatments in accordance with Directive No 02/CT-NHNN dated February 23, 2016, on strengthening security assurance and the restructuring of credit organisations’ systems, bad debt management, and monitoring and maintaining bad debt at a safe level. The Directive also cited that credit institutions should focus on speeding up bad debt treatment through several measures such as risk contingency, selling bad debt to the Vietnam Asset Management Company (VAMC), supervising debt collection, settling collateral, and monitoring credit, bad debt and overdue debt management.